Several users have reported that they are unable to send and /or receive text messages and iMessages on Mac. This article explains how you can troubleshoot this issue. Users report that when they attempt to send a message, they see a little red exclamation mark symbol next to my message, and they cannot resent it. Using the Messages app on the Mac, you can easily send and/or receive SMS text messages (normal text messages) and iMessages (Apple’s messaging service). 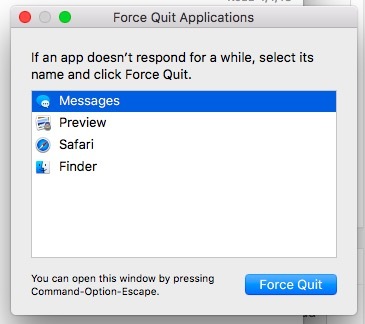 1- Force quit Messages app and then reopen it. To do this, choose Force Quit from the Apple menu () in the upper-left corner of your screen.And then select Messages and click Force Quit. The re-open the Messages app. 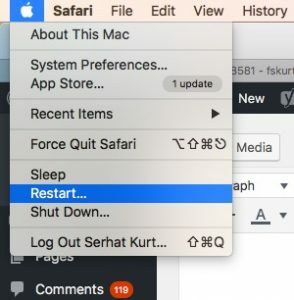 2- Restart your Mac. Simply click the Apple menu and select Restart. 3- Sign out and then sign back in. Open Messages, then select Messages and Preferences from the Menu bar. The click Sign out. Then open the Messages app and sign in with your Apple ID. 4- Open the Messages preferences window and select the Accounts tab (Messages > Preferences), select iMessage (left list), make sure that the checkbox “Enable this account” is checked, if not checked, check the box. 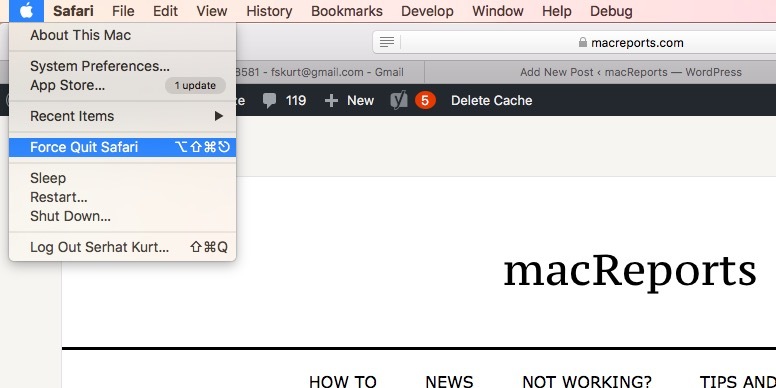 5- Make sure that your Mac is connected to the Internet. Try to load a web site to check your Internet connection. If you do not have an Internet connection, you may try some basic troubleshooting tips like restarting your Mac, Router, Wi-Fi spot etc. 6- Your problem may be because of your date and time settings. Lets resolve this. Click Apple menu > System Preferences > and then Date & Time; select the Time Zone tab and the “Set date and time automatically” checkbox, if it is already selected, unselect and wait a few seconds and reselect again. You may need to enter the admin password if the checkbox is dimmed. 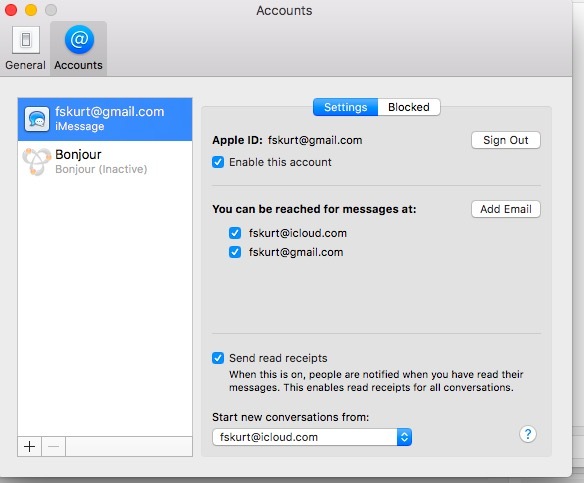 7- On your Mac, Messages > Preferences > Accounts > iMessages Account; and on your iOS device, iPhone or iPad > Settings > Messages > Send and Receive the account should be same. Launch Keychain Access (Launchpad > Keychain Access) then click File and Lock Keychain “Login” and then again go to File > Unlock Keychain “Login”, enter your admin password when you are asked. This will rebuild your Keychain Access which may fix this problem. The Keychain one fixed it, but I have no idea what I actually did in doing that–could someone explain? I fixed my problem by switching my iPhone to Flight mode, and back to normal mode. Its as if the cell network needed reactivating. Keychain thing did it. It still didn’t synch to evrything that was currently on my phone, but at least I could send/recieve and everything would be synched from here on out. Keychain thing did it for me. iMessage kept saying I needed to update some setting but just kept making me enter my password. Went into keychain, lock, unlock, boom. Good as new. OH, I really thought keychain was going to fix it!, When I typed a name, it came up green instead of red, I was able to type the message and send… Then the dreaded Exclamation Point showed up, Msg not delivered. I then tried Airplane mode, still no luck. For whatever damn reason, the key chain thing also worked for me. The Keychain thing worked for me!! The above did not work for me. I had this same problem a few years ago, lasting for nearly a year. 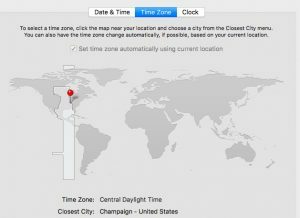 Apple support tried to help me for several hours, but to no avail. Then, one day, Messages magically started working again. It worked for many months, and then stopped working once more. I’ve gone through the above steps to solve the problems every few months, but have never had any luck. Love you guys. Thanks a lot! Another happy keychain customer. Thank goodness for this post! Number 8, Keychain Access, instructions worked for me. Thank you very much. It was driving me crazy. Why did this happen? Thanks again! Keychain Access fixed it! No idea how this happened. Thank you. I lost my ability to send from my Mac after setting up a new phone with a new AppleID. 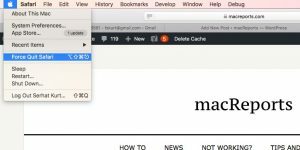 iMessage would receive on my Mac, but I couldn’t send. The Keychain reset recommendation didn’t help me, but I found another recommended fix online. Then delete it and reboot the computer. Log back into iMessage. It worked! When I returned to Keychain, I saw that the com.apple.facetime was in Keychain again. My guess is that the registration was rebuilt by the Mac after I logged back in. Can’t say for sure how or why, but this solution seems to have worked for me. thanks mate, the keychain access solved it for me. # 8 Keychain, worked for me thanks!! !